PST File having Password ? Know how to Remove Password from PST ! As far as I know, there exists no automated way to remove password from a Outlook Data file. One needs to perform manual steps to remove password from a pst file. I have got a bunch of pst files say around 20 in number. And all PST files are password protected. Now, I am looking for a way to remove all passwords from PST files. Learn how to remove password from all 20 PST files, by following manual steps. Figure out a way to select all PST files & unlock all of them instantly. Consider using a tool to strip password from all PST files in a go. Now, to remove your password from PST file, you need to have MS Outlook installed on same machine having PST files stored. 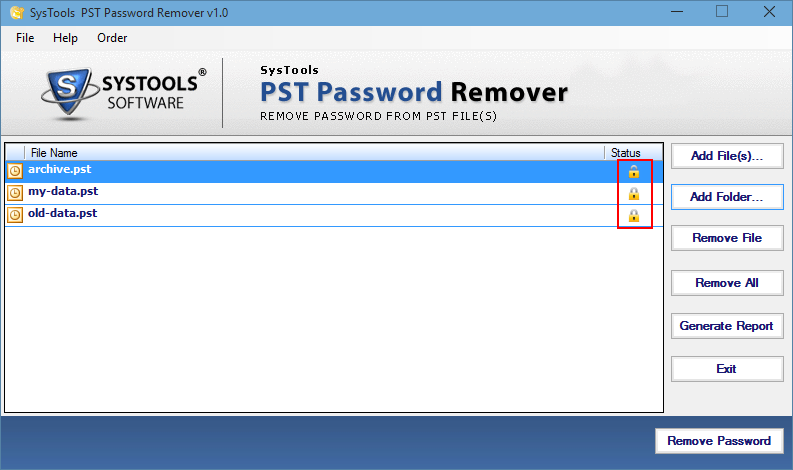 Follow manual steps to remove password from PST files one by one. But this manual method will consume much of your time and also involves manual efforts too. Run the free utility Scanpst.exe & click Repair button. Note: Before Removing Password from your PST file, Please make sure that you have a backup of your PST file. Copy or Type the location of your PST file in command prompt by suffixing \pst19upg.exe-outlook.com. For Instance C(drive):\Program Files\Microsoft Office\pst19upg.exe-outlook.com. A new copy of PST file will be created with .psx extension. You can also rename your newly created PST file at the same location. In cmd window, type “pst19upg.exe- newpsxfile.psx” (hit enter). For more accuracy you can run Scanpst.exe & repair your newly created PST file. Now import PST file in Outlook to check if its password is removed or not. So, to avoid this I googled on internet. 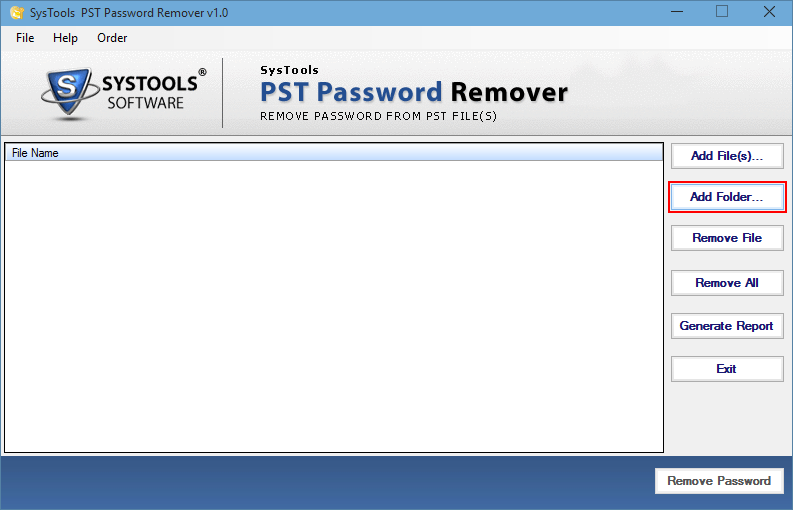 And I came across a tool, which allows us to batch remove pst passwords. I found this tool pretty easy to use and it works like a breeze. Let me show you, how exactly tool works & makes the password removing process as easy as 1, 2, 3. Download the tool from http://www.systoolsgroup.com/pst-password-remover/ and install it. Locate your folder having all of your password protected pst files. 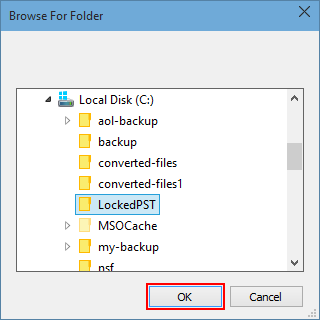 Once you browse the folder having locked pst files, software will automatically lists all pst file names and show you a lock sign if the pst file is protected with a password. Lock sign is a indication that your pst file is having password. 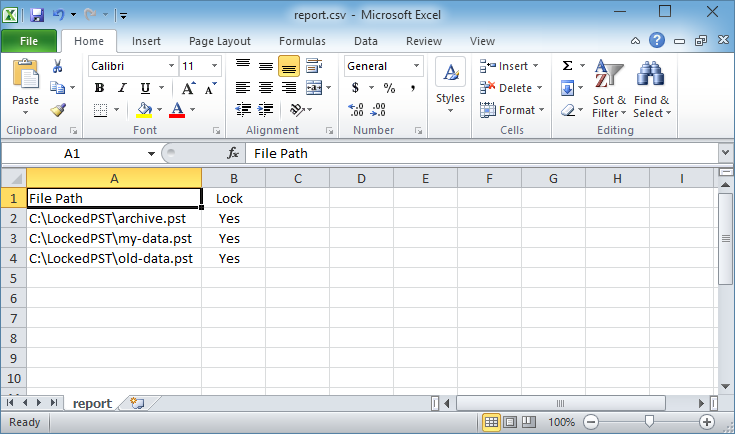 If you want to generate a report in excel sheet, you can do so by clicking on Generate Report button. This will create excel file and will show you Lock status of all PST files in same folder. Such reports are helpful for users who want to know which all PST files are locked and which are not. Now You can click on “Remove Password” button to finally strip password from all PST files in a go. Hurray ! Here you go. Now, you have all PST files which are free from password and you can easily open them in MS Outlook via File > Open > Outlook Data File option.